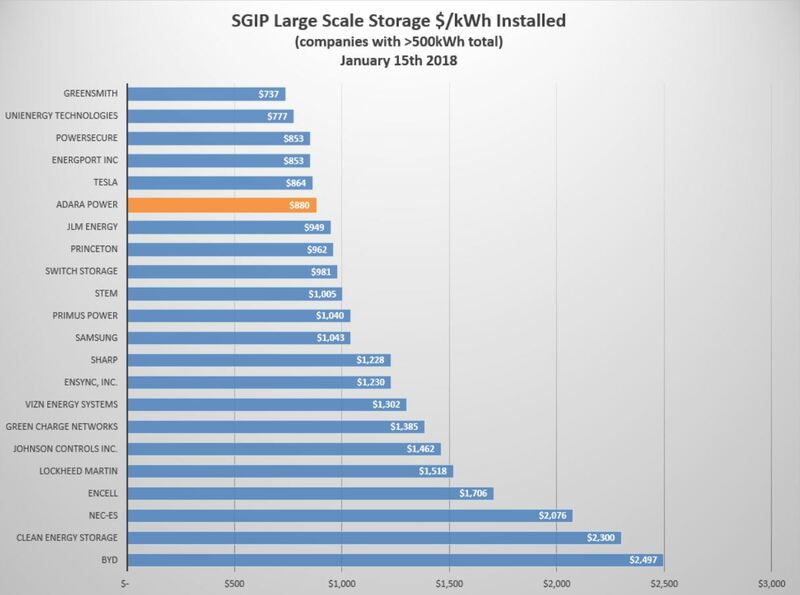 The SGIP data is remarkable in that it is the only large data set of true energy storage costs at the installed project level. There are over 900 projects in the Large Scale Storage category. We took a look at all of these projects which comprise equipment from 38 manufacturers. 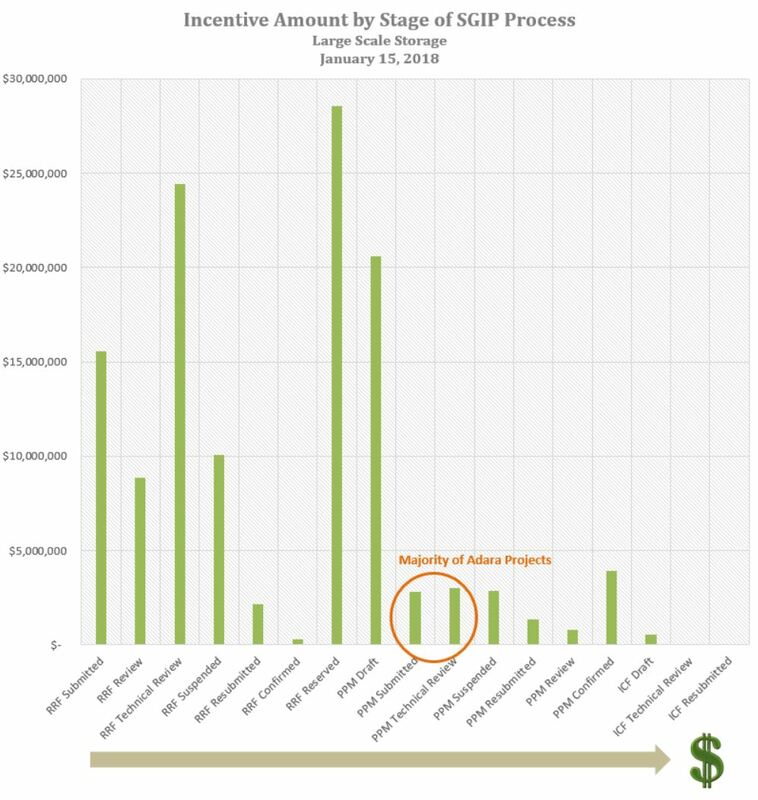 The chart below shows the cost per kWh at the project level for all companies that have at least 500kWh of projects. This reinforces Adara’s competitive approach to finding the best equipment, delivering cost effective software controls and not gouging our customers. On top of this, Adara has been very successful at moving these projects through the process so our customers get paid. The second chart shows how much money is in each stage. To get past the Proof of Project Milestone (PPM) Draft stage you need a signed contract from the customer. A lot of work goes into the Technical Review in advance of this and Adara is there through the entire progress to shepard these projects through. Posted in Blog, Energy Storage Blog.